Over the summer, I spent 2 weeks with my family (parents, brother's family and my family) on the beach in Maui. It was absolutely awesome, the beach, the sea turtles, Duke's for dinner, and those sunsets. It was nice taking time away from work, to simply be a tourist. 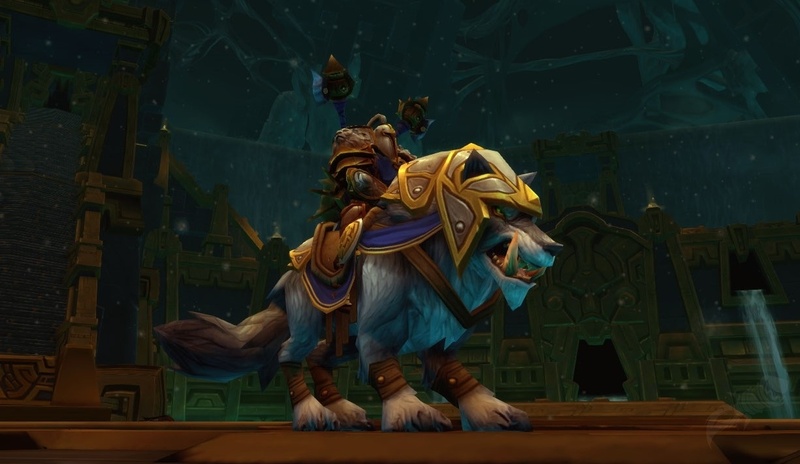 Recently, Blizzard has stated that they used to think of LFR is raid "Tourist Mode". The players get to experience the entire raid without having all of the complication of the (could use voice chat) mechanics. With Tomb of Sargeras they've changed their design philosophy, rather dramatically. This can be seen in such fights as Desolate Host, where, the players never actually fight the Desolate Host, or Avatar where there's no meta-boss, Maiden. This is a massive disservice to the casual/LFR crowd. As a self-declared casual player, I am now at a loss. I currently pugging normal Nighthold raids to help finish my Balance of Power artifact appearance quest. Between LFR edition, and current LFG "quick AP N-nighthold" runs, there's minimal differences. I am afraid that when I start pugging Normal Tomb, I am going to have killed the Engine of Souls and be looking for my loots. Tomb of Sargeras LFR is like traveling to Maui and never seeing the beach. The palm trees are still there, but missing the honest to goodness reason for traveling to Hawaii. Blizzard, you're only making regular raiders hate LFR more. Not only will we assume we can avoid standing in the bad stuff to soak damage (due to sporting an mythic+ ilevel, i.e. higher than drops in LFR), but we won't know the entire boss fight because those essential pieces were missing.